Exposure to targeted, personal and verbal aggression by patients can adversely affect mental health nurses decision-making regarding physical restraint, new research in the world’s leading nursing research journal reveals. While exposure to physical aggression and self-harm are known to have detrimental consequences for nurses working in mental health services in terms of staff sickness and trauma, this new study suggests that nurses who are subject to humiliating personal remarks experience higher levels of distressing emotions, including anger. The new research, led by Dr Rahul Jalil, conducted rigorous assessments with mental health nurses working in three UK secure mental health units. “Nurses who reported being the target of derogatory remarks reported higher levels of anger than their colleagues. What’s more, this was not true for those who had witnessed greater levels of physical aggression or self-harm. The study, published in the International Journal of Nursing Studies, formed part of Dr Jalil's PhD studies, which was joint-funded by St Andrew’s Healthcare and the University of Northampton. His PhD research also considered the role of anger in patient aggression, as well as in the nurse-patient therapeutic relationship. This has real implications for education and training for staff in the prevention of violence and aggression. The study – ‘Mental health nurses’ emotions, exposure to patient aggression, attitudes to and use of coercive measures: Cross sectional questionnaire survey’ – also revealed that, while individual nurses exposed to this behaviour were more approving of coercive interventions, this did not translate into an increased use of restraint or seclusion. 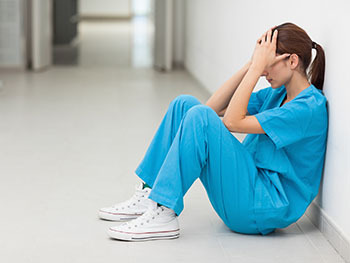 It seems that existing checks and balances, perhaps including team support or nurses own self-awareness, act to prevent a spiral in which behaviour is dealt with coercively, which in turn might make patients more likely to insult the nursing staff.